Brace yourselves to be overwhelmed with cuteness! Kensington Palace just released the first official photo of Princess Charlotte with her older brother, Prince George — and, as expected, the two siblings are absolutely adorable beyond words. The picture was released less than one month before Princess Charlotte's christening, which is scheduled for July 5. 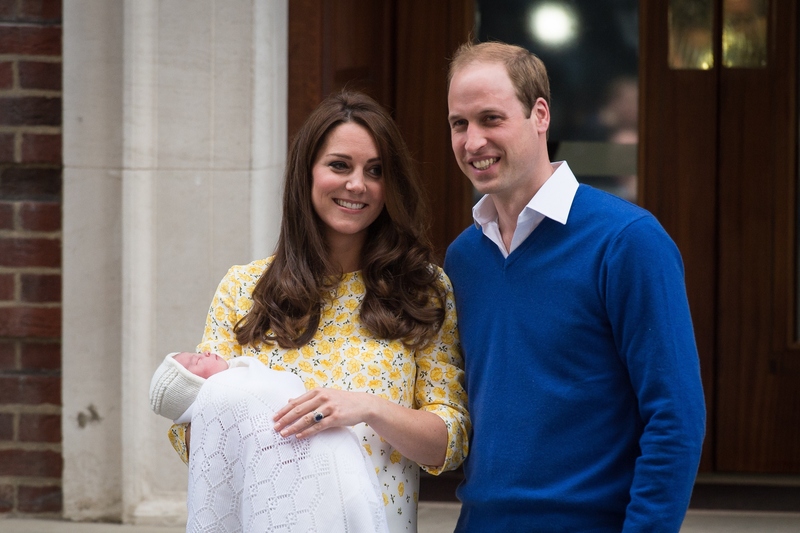 The newest addition to the royal family, who whose full name is registered as Her Royal Highness Princess Charlotte Elizabeth Diana of Cambridge, was born on May 2. Before now, she's been kept out of the public eye for the most part, other than the glimpse we were able to catch when when Prince William and Kate Middleton left the hospital with her. This newest, official photo of Princess Charlotte comes a little more than a month after her birth. In contrast, Prince George's official pictures made their debut on August 19, 2013, less than a month after his July 22 birthday. Kensington Palace announced that they would be sharing a photo of Princess Charlotte on June 6. Shortly afterward, they tweeted, "If you wish to celebrate Princess Charlotte's arrival, TRH are encouraging people to support a local children's charity or @ImperialCharity." Who else wants to be adopted by the royal family, like, ASAP? These kids are just the cutest.